Twin 304 24” fan assy. 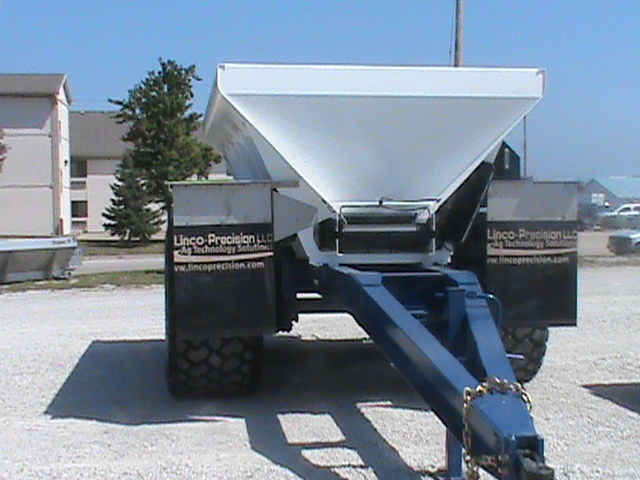 * Hitch height needs to be 12”-18”. High floatation tires leave a light foot print despite massive payload. Trailer mainframe with universal bull pull hitch, and four wheel braking system. Walking suspension, that provides over 12” of travel. 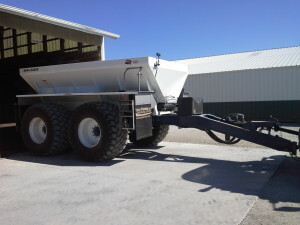 30” (76 cm) #4 belt-over-chain capable of spreading Ag lime & fertilizer. Consistently applies up to 60 ft. (18 m) spread patterns with Ag lime and 90 ft. (27 m) for fertilizer. 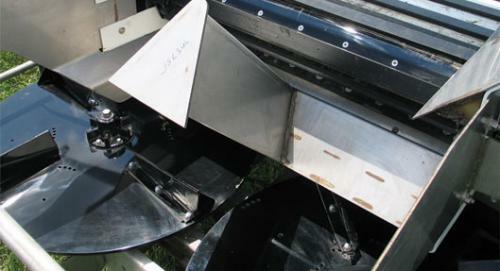 24” (61 cm) wide feedgate can be opened up to 11” (28 cm) tall to handle large Ag lime rates. 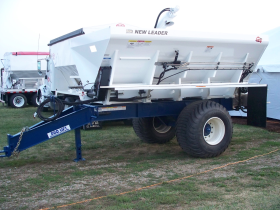 High output and high capacity come together in the NL345 drawn dry box spinner spreader. 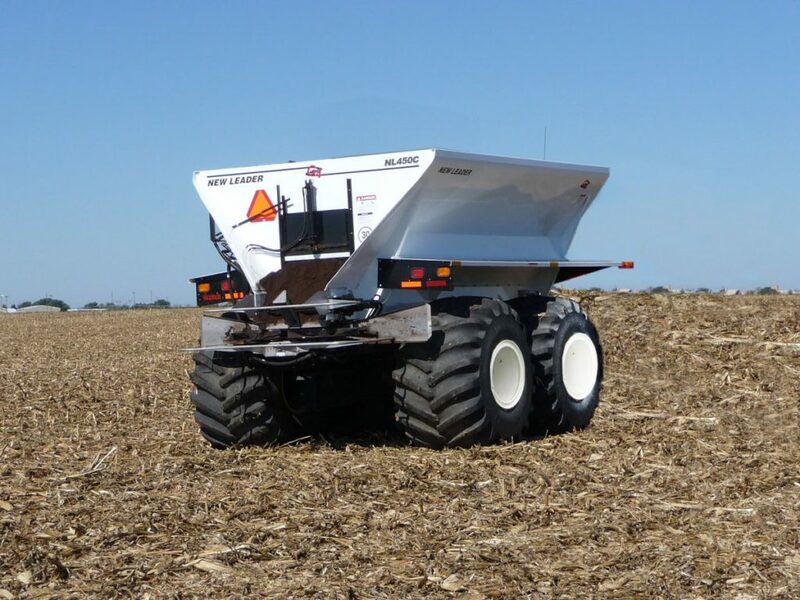 For applicators who demand unrelenting performance for spreading ag lime and dry fertilizer, plus a superior return on asset, this machine delivers the flexibility to multi-task tractors for field operations including anhydrous ammonia application, strip-till and side dress application. High flotation tires leave a light footprint despite massive payload. 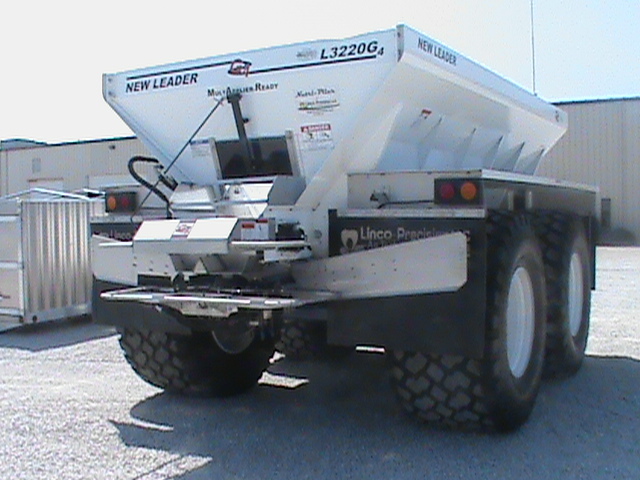 The NL345 delivers smooth, continuous product flow, plus the durability to stand up to tough fertilizer and lime spreading conditions. And for the heaviest lime spreading, a #4 belt-over-chain conveyor incorporates a multi-ply belt over a heavy-duty pintle chain. 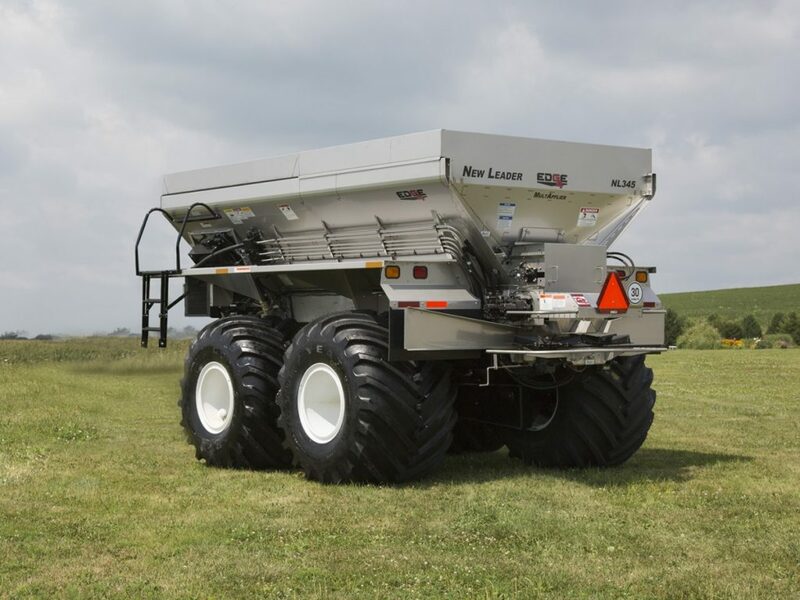 The NL345 consistently applies up to 60 ft. (18 m) spread patterns with ag lime and up to 90 ft. (27 m) for fertilizer. Easily convert from single to dual product spreading with the revolutionary MultApplier. Bolted-in end gates and stainless steel hydraulic connections take this optional component to the next level, and make it easy to add or remove. With the 7 ft. MultApplier installed, the NL345 spreads up to 90 ft. (27 m). The dual hopper system features two independent conveyors that can simultaneously apply two products at predetermined or variable rates. 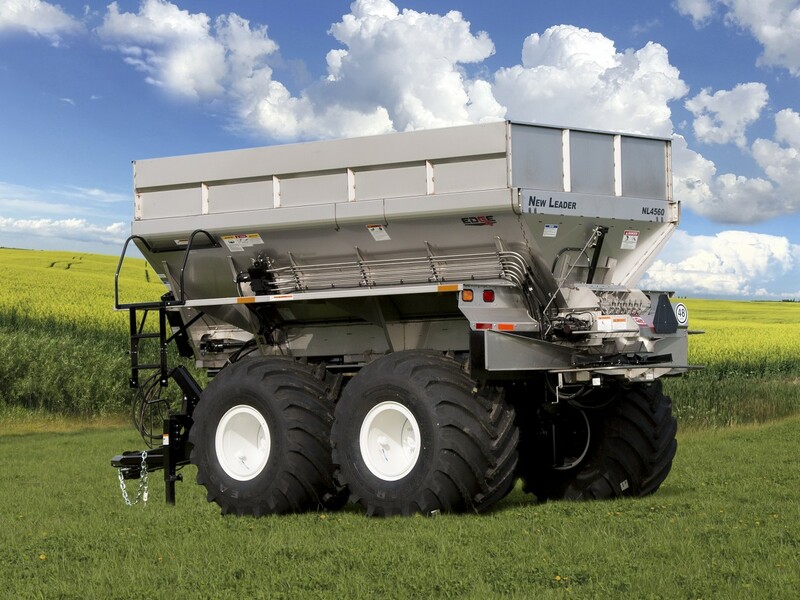 The NL450C, not designed for fertilizer and lime, broadcasts material farther, wider, and more consistently than any other applicator. Higher payload capacity and greater material output. Precise record-keeping of environmental material applications. Get the job done more accurately in less time. Available in 304SS or 409 Painted Stainless steel, #1 chain with ½” x 1-½” crossbars is standard equipment with the #2 and #3 conveyor chains optional, the extra wide 34” (86cm) conveyor and 50˚side slopes provide better flow of material and increased output, and the 118” (300cm) wide body increases payload capacity for heavy spreading needs. The corrosion-resistant stainless steel conveyor floor prevents material build-up under the conveyor, providing longer service life to the overall conveyor system. 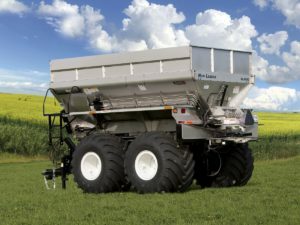 Featuring dual 30” (76cm) spinners and tandem hydraulic system to broadcast material faster and farther, and minimize time in the field. 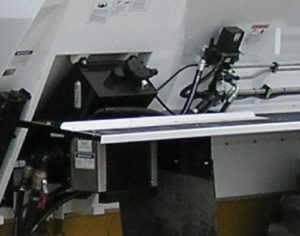 the straight rear endgate is set farther into the body, feedgate is hydraulically controlled and comes with a feedgate sight gauge. Compared to the average compost spreader, spinner power is increased by up to 50% and application rates are increased up to 33% or more. The NL4560 Edge continues that tradition with plug-and-play ISOBUS electronics that hook into compatible controllers through standardized plugs, cables and software. 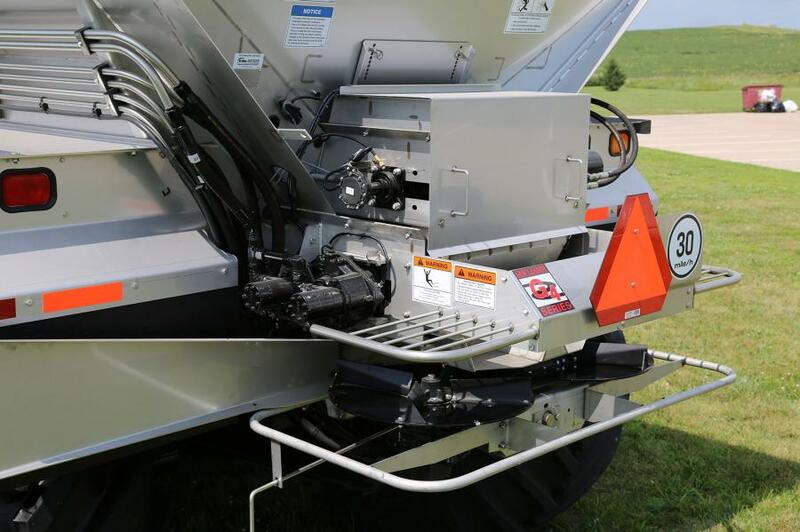 It also incorporates the power of diagnostic feedback, automatic service notifications, boundary spreading, a feed gate optimizer, low bin countdown, automatic chain oiler, and it can be expanded to control multiple bins. 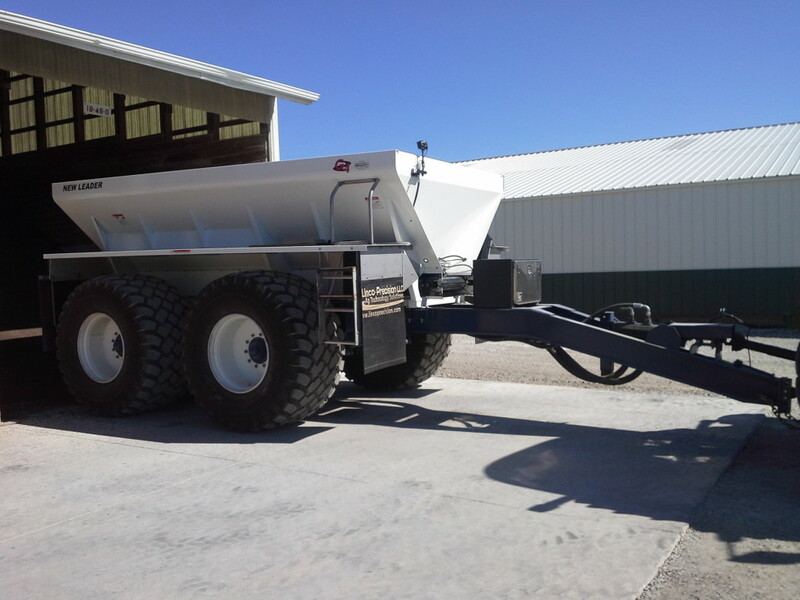 This is a machine that makes repeatable, responsible nutrient management possible—with a mobility that’s unmatched in the industry. 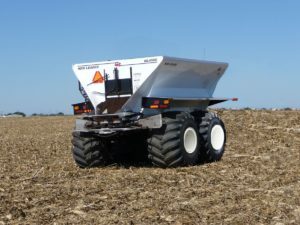 Advanced hydraulics makes it easy to connect and disconnect, so operators can easily put New Leader technology where they want it. More control comes from independent spinner speed and monitoring, plus the capability for boundary spreading of multiple products. Spread materials faster, wider and more consistently, even on windy days, with proven G4 variable rate broadcasting technology. Take advantage of dual RPM sensors and pulse width modulation (PWM) valves to maintain precise speed on each individual spinner within 5 RPM. Giving operators the power to apply along a boundary line with the flip of a switch for the most precise nutrient placement for maximum yield potential. Experience fast and exact conveyor control, independent spinner speed control and extended conveyor life with the NL4560’s superior hydraulics system. High-tech sensors give operators early insights into potential issues by monitoring hydraulic condition and performance based on metrics including fluid level, temperature, filter restriction and conveyor and system pressure. Multiple test ports make in-field service and diagnostics easier. The NL4560 is built with the operator in mind – maximizing time in the cab and the field and simplifying maintenance. A flip-up hillside divider lets operators move easily between spreading lime and other products, while maintaining max flow and without getting out a single tool. The NL4560 maintains proper chain adjustments with an automatic chain tensioner. Continuous tension helps extend life. 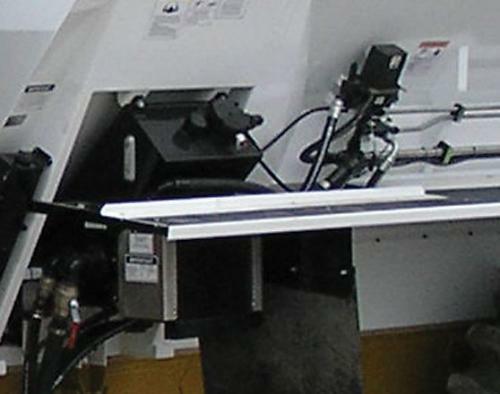 In addition, operators receive automatic lubrication alerts after 10 hours of conveyor run time.